An artistic diamond engagement ring, featuring floral and marquise motifs with milgrain. 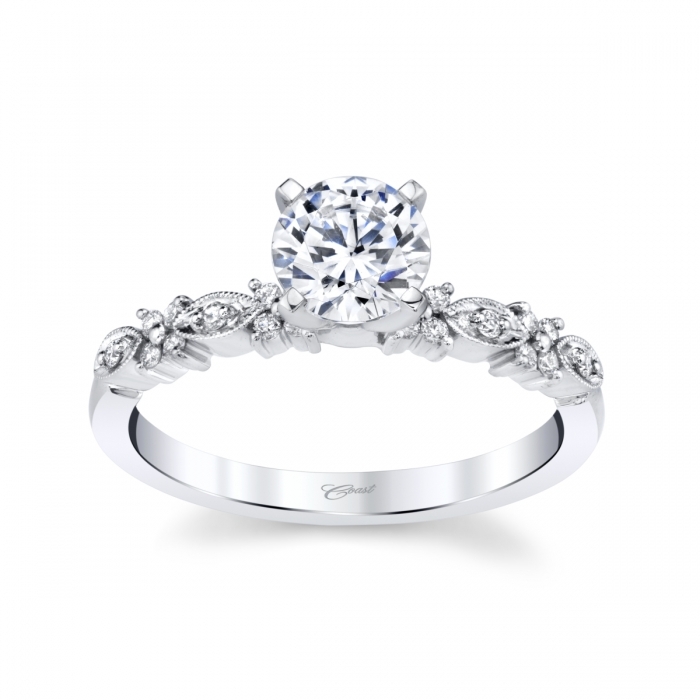 Complete the ring with the center stone of your choice. Shown with 0.75 ct round brilliant center stone. DIAMOND WEIGHT : 0.12STARTING PRICE : $730.00 ** Available in (14K or 18K) White, Rose, and Yellow Gold or Platinum. Starting price based on 14K white gold and head size shown. Prices may vary according to shape and size of the center. Please call your authorized Coast retailer for details. Prices are subject to change at any time and are shown in US Dollars. 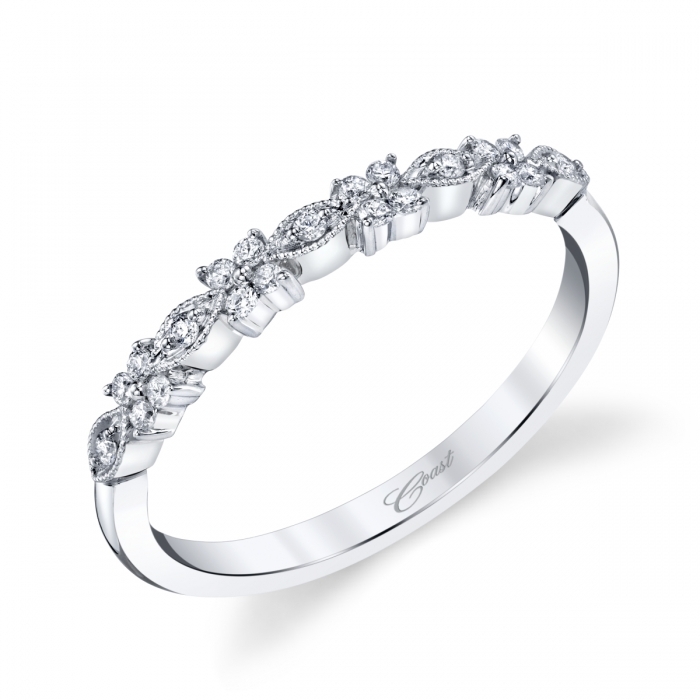 RING LC30095H | BAND WC30095HA delicately crafted band with prong set diamonds, accented by milgrain detail on floral and marquis motifs. 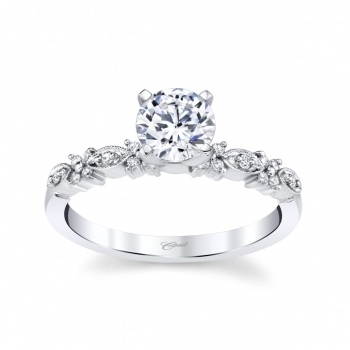 DIAMOND WEIGHT : 0.13STARTING PRICE : $605.00 ** Available in (14K or 18K) White, Rose, and Yellow Gold or Platinum. Starting price based on 14K white gold and head size shown. Prices may vary according to shape and size of the center. Please call your authorized Coast retailer for details. Prices are subject to change at any time and are shown in US Dollars.